Last year, as a result of the coaching, the CMCH students brought back gold for middle school and silver for elementary divisions. 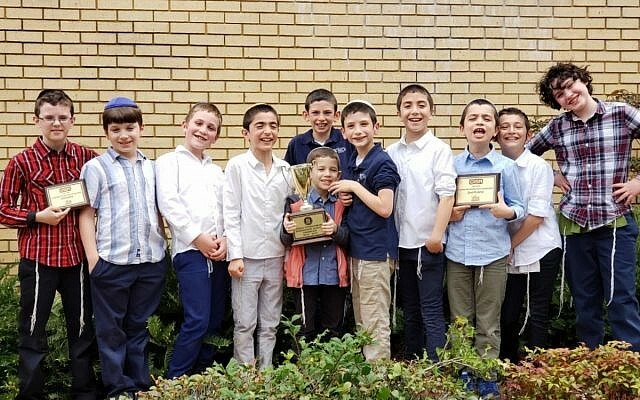 CMCH students took away several trophies at the GISA tournament: Ari Bari, Gilad Livnat, Dov Chazanow, Dovid Estrin, Dovid Pinson (front), Moshe Kornfeld (back), Dov Kornfeld, Ephraim Estrin, Ben Vayner, Sholom Sollish, and Malachi Freedman. Boys and girls participating in the tournament from CMCH were Adiel Livnat, Meir Kornfeld and Sarah Bari. 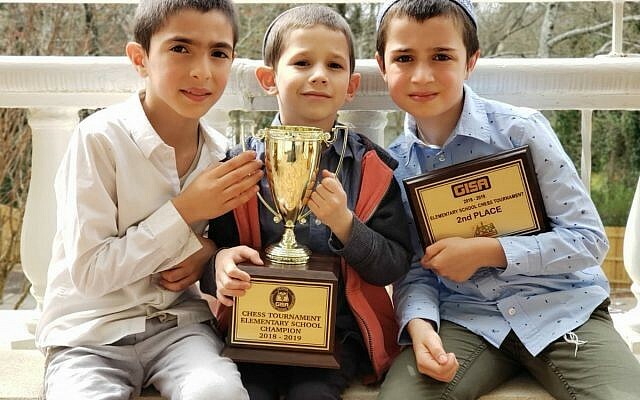 Years ago the students of Chaya Mushka Children’s House asked to participate in the Georgia Independent School Association chess tournament. That year, they brought home the silver trophy. Considering the students had no formal training, the win convinced the school to enlist a chess coach. 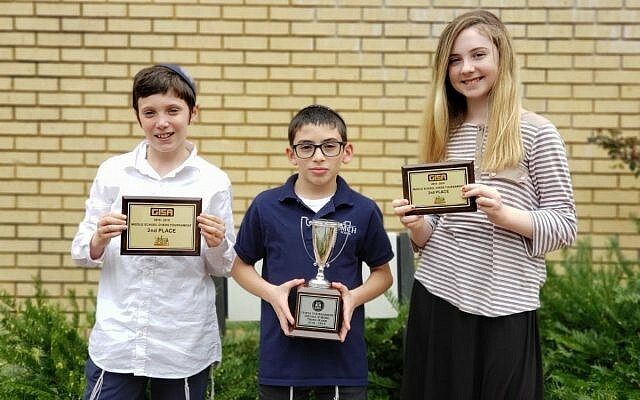 “We knew 2019 would be a rebuilding year given that some of our chess students had graduated,” said Tova Isaacs, the school’s director of advancement. Still, at this year’s tournament March 14, the students won the gold for elementary school and bronze for middle school divisions. “We are so proud of our students’ hard work and effort!” she said.